Caucasian crosswort (Phuopsis stylosa): growing, planting, caring. Did you know? Brushing off leaves of the Caucasian crosswort gives off an odor which can be confused with that of some cannabis species. Phuopsis stylosa - the Caucasian crosswort - is a flowering plant in the Rubiaceae family native to the Caucasus and Iran, and widely grown elsewhere as a garden plant. 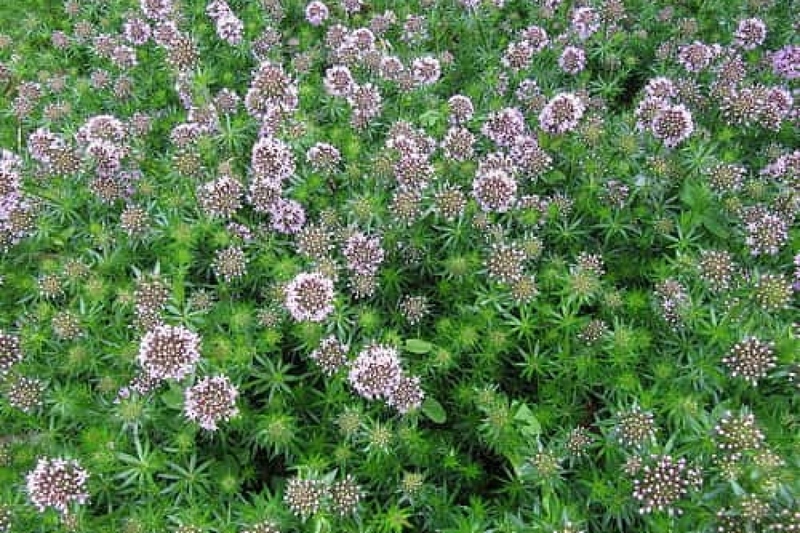 It is a low-growing, mat-forming aromatic perennial with narrow, aromatic leaves and terminal clusters of tubular pink flowers. The crucianelle is easy to recognize: it resembles cleavers, with creeping stems slightly sticky and leaves arranged in whorls. It is a perennial with a creeping developpement. The inflorescences form balls of small pink stars in May-June. Crucianellas support any type of garden soil, as long as they are in the sun or semi-shade. In pots, simply plant them in some garden soil or potting soil while planning that they will expand in width - sometimes 60 cm per stem. Before planting, open the root ball a little to break the outer roots that form circles. If the root ball has dried, soak it for 30 minutes. Fill the pot halfway with compost or potting soil, arrange your plant. Adjust the level of the plant not to bury its leaves, fill the tray to its final level then tamp well around the root ball. After planting, sprinkle copiously. Water during the summer season, once a week in case of dry weather, in the morning if possible. You can propagate the Caucasian crosswort in the spring: with a spade or a dibbler, separate the plotting roots, take them out and replant them where you have a sunny space available. Water.